"Engage attendees like never before with this social ARS!" Ask questions and get answers in real time. 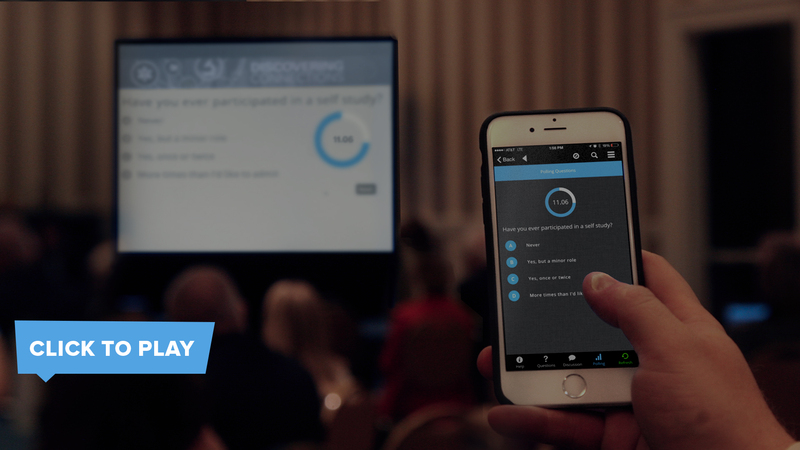 Attendees have a specific amount of time to submit their answers, and the results are instantly displayed on the presentation screen and event app. This is an ARS unlike any other. A social network is created for each session so your attendees can crowd source notes, upvote questions for the moderator, and discuss the presentation with their peers. Add polls to speaker presentations and let attendees' have their voices be heard. Speakers can access poll results connected to precise user data. Allow attendees to ask the speaker or moderator questions. Attendees can upvote the most popular questions to make sure they get answers. 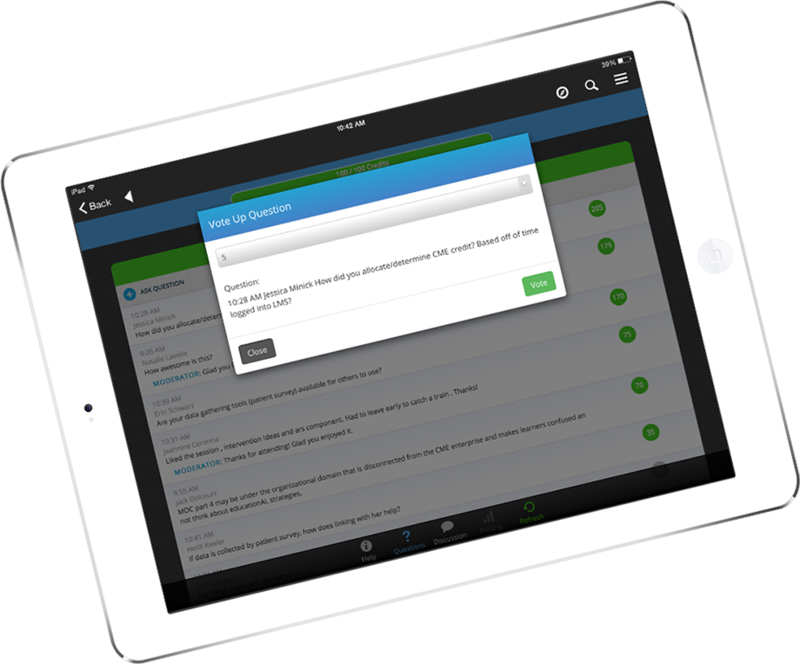 Attendees can post comments, share their presentation notes, and learn more about speakers. It's like a social network for every session.